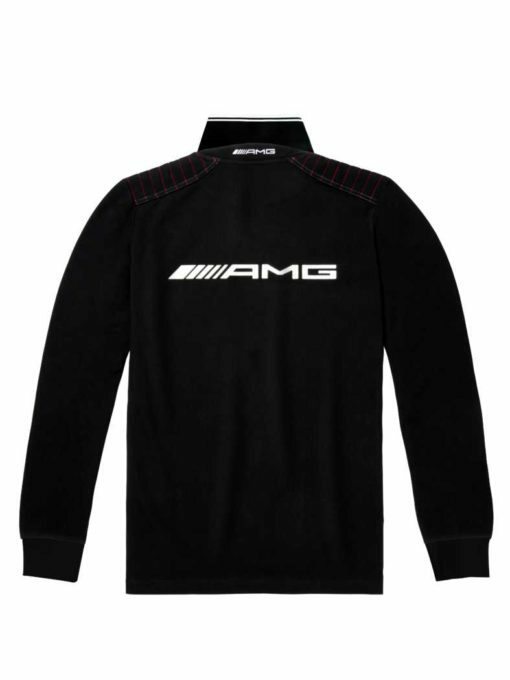 Quality and sport define the new 2016 Mercedes-AMG Collection clothing and accessory line. Available through authorized Mercedes-Benz dealers and the Mercedes-Benz Collection catalog, the luxury car maker’s new line provides sporty and quality fashion pieces for all. Inspired by the Mercedes-AMG GT, the line features jackets, hats, wallets, t-shirts, cell phone cases and more. The Mercedes-AMG collection exemplifies the best of luxury and quality, along with comfort and versatility, which models the brand’s AMG vehicles. The color range includes vibrant hues like red or yellow and neutral tones like white and gray or black so that each individual style can find its match. The items are crafted using the finest materials from genuine lamb’s leather to 100% single jersey cotton. A favorite of the collection is the 200-piece jigsaw puzzle featuring the solarbeam yellow AMG GT, which, in a company press release, Mercedes implies provides fun for all enthusiasts wanting to put together their own AMG GT. You can check out the full collection at any authorized Mercedes-Benz dealer or through the Mercedes-Benz catalog. Cap AMG, Kids, Weiß/Rot. 100% Polyamid. Children’s AMG cap, white/red. 100% polyamide. USB-Stick Mercedes-AMG GT, Solarbeam Gelb. Mercedes-AMG GT USB stick, solarbeam yellow. T-Shirt Kinder, Rot. AMG GT Aufdruck. Children’s T-shirt, red. Printed motif of an AMG GT. Businesstasche AMG, Schwarz mit roten Kontrastnähten. Rindleder. AMG business bag, black with red topstitching. Leather. AMG cover for iPhone 6/6s , black with red topstitching. Lambskin. Puzzle AMG GT, 200 Teile. Motivdruck eines AMG GT. AMG GT jigsaw, 200 pieces. Printed motif of an AMG GT. T-Shirt Kinder, Weiß. AMG GT Aufdruck. Children’s T-shirt, white. Printed motif of an AMG GT. Kinderkissen AMG GT, Rot/Gelb/Anthrazit/Weiß. Von NICI für Mercedes-Benz. Children’s AMG GT cushion, red/yellow/anthracite/white. By NICI for Mercedes-Benz. Funktionsjacke Herren, Schwarz. Wind- und wasserabweisend. Men’s performance jacket, black. Wind-repellent and water-repellent. Poloshirt Herren, Weiß mit grauen und schwarzen Kontrasten. Men’s polo shirt, white with grey and black contrasts. Poloshirt Herren, Schwarz mit weißen und roten Kontrasten. Men’s polo shirt, black with white and red contrasts. Sweatjacke Herren, Selenitgrau mit Kontrasten in Schwarz und Solarbeam Gelb. Men’s sweat jacket, selenite grey with black and solarbeam yellow contrasts.